Williams Heights Elementary School Pathways for all. Success for all. Brooke S. and Katie B. win Georgia Cities Coloring Contest! 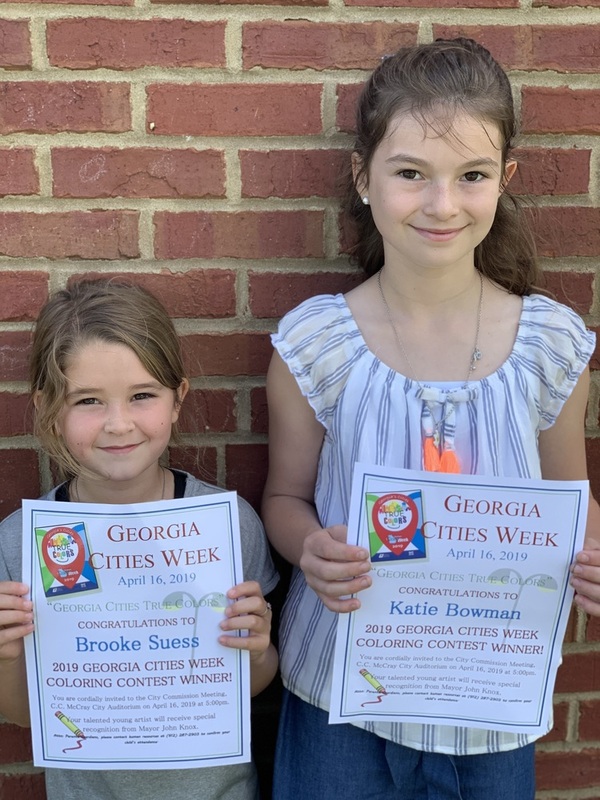 Congratulations to 1st grader Brooke S. and 5th grader Katie B. for being selected as the winners of the Georgia Cities Week Coloring Contest! These two students will be honored tomorrow night, April 16th, at the City Commission Meeting. We are so proud of these two young artists!